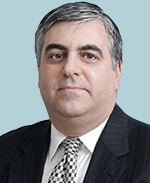 Ted Offit is a business lawyer, co-founder and Managing Principal of Offit Kurman Attorneys at Law. He serves as general counsel to a significant list of privately held organizations and often serves in an advisory capacity to the board of directors of the firm’s entrepreneurial clientele. He often serves as special counsel to businesses seeking to implement succession plans through a sale (merger and acquisition) or through transfers to affiliates (family members and employees). Mr. Offit also often serves as special counsel regarding the design and implementation of compensation plans for executive level staff. Tim Lynch’s practice is focused on complex civil litigation matters as well as acting as outside general counsel to many owner managed businesses and entrepreneurs on a wide array of business issues. In addition, Mr. Lynch serves as a corporate advisor to senior level executives, physicians and professional athletes throughout the United States. He serves as a board member for several privately owned companies advising on growth and management issues. Mr. Lynch is also a member of the firm’s Executive Management Committee. 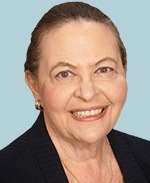 Cheryl Hepfer guides her clients to a resolution of their family matters through her expertise in family law and domestic law, negotiation,alternative dispute resolution, the collaborative process, or litigation. She has a wealth of experience in complex property distribution, alimony, child custody and visitation, child access, and child support matters, which has led her to successfully litigate in trial courts throughout Maryland. She also has a successful appellate practice. Ms. Hepfer settles most of her cases out of court because she explores settlement options early, hoping to limit client costs and enhance the opportunity for an amicable resolution. 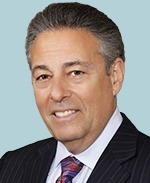 Edward A. Bloom practices real estate and transactional law. His practice is primarily concentrated on real estate development, real estate litigation, real estate workouts, real estate and corporate lending, leasing, licensing, corporate and transactional matters. 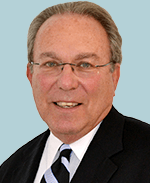 Mr. Bloom has over 30 years of experience on all types of real estate and corporate matters. He counsels developers, owners and users on acquisitions, dispositions, financing and development projects. He has extensive experience on all types of lease matters, and regularly represents tenants in the negotiation of leases from 5,000 to 100,000 square feet in size. 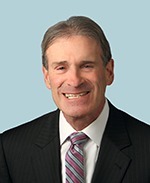 Mr. Bloom has drafted and negotiated numerous work agreements for tenant build-out in connection with leasing matters. He has represented lenders, borrowers and asset portfolio purchasers on loan workouts, restructurings and foreclosures. 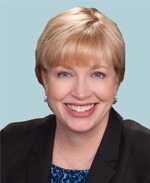 Working as a family law attorney for over twenty-five years, Sara Donohue has practiced in the field of domestic law in both Maryland and the District of Columbia. 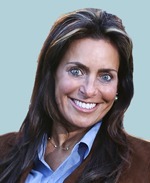 Her practice includes working on complex divorce and custody matters. In addition to handling matrimonial matters in the traditional negotiation and litigation modes, she has been trained in Collaborative Law and is a member of Collaborative Divorce Association, Inc. Ms. Donohue also has an interest in the practice of adoption law. 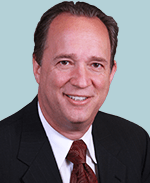 Ronald L. Ogens serves as the Chairman of the Family Law Practice Group. Mr. Ogens’ practice as family law attorney is focused on the negotiation, settlement, and litigation of family law matters in Maryland and the District of Columbia. He handles a variety of divorce matters, including separation and divorce, annulment, alimony and child support issues and analysis, child custody and visitation issues, and the identification, valuation, classification, and division of marital and non-marital property. He also provides preparation and analysis of separation and property settlement agreements and prenuptial agreements. 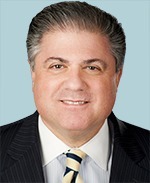 His experience as a family law attorney helps him serve as an effective mediator and arbitrator in family law disputes. Steven Stone represents clients before all state courts in Virginia, before government agencies, and before local governments, school boards, and departments. His clients include area education associations and other trade and professional organizations; Families and individuals. He also has provided legislative and lobbying services on behalf of a wide variety of groups – labor, business, attorneys and doctors. He takes pride in the fact that most of his cases are quietly resolved in the best interest of his clients while avoiding costly litigation and adversarial proceedings. 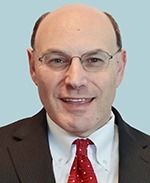 Brian Rosenberg serves as Chair of the Banking and Finance Practice Group and primarily counsels clients with respect to real estate matters, including acquisitions, finance and development matters, and also assists financial institutions in connection with all aspects of commercial lending, with a particular focus on loan transactions secured by real property. In addition, he serves as local Maryland counsel to lenders and real estate owners in multi-state transactions, and has extensive experience in preparing and negotiating attorney opinion letters in loan transactions. 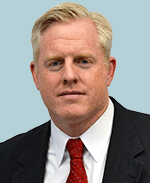 Michael Conley is an insurance litigation and recovery lawyer who serves as the chair of the firm’s Insurance Recovery Practice Group in its Philadelphia office and a principal in the Labor & Employment Law and Business Litigation Departments. His broad legal experience includes insurance litigation, insurance coverage litigation, labor and employment law, and general litigation. He represents policyholders, including closely held, publicly traded, nonprofit, and municipal entities, with claims against their insurance companies. His insurance coverage law experience includes handling coverage actions on behalf of insureds relating to bad faith claims, defense obligations, law and ordinance exclusions, breach of health insurance contract, crime coverage, employment liability coverage, and coverage for data loss and environmental liability. Neil Morris has passionately represented employers for the last 25 years. Mr. Morris specializes in the areas of labor and employment, municipal labor law, employment discrimination, defamation and business litigation. 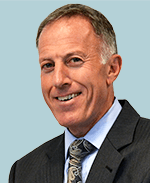 Mr. Morris has served as Special/Labor Counsel for more than 35 Pennsylvania Townships and Boroughs, the County of Bucks and many private employers. He is often brought into municipalities to handle “crisis” situations involving employees and/or management.